Also, today I came prepared and got him to sign my copy of his brilliant "Character Animation Crash Course!" book (if you don't own it, click the link and buy it!) 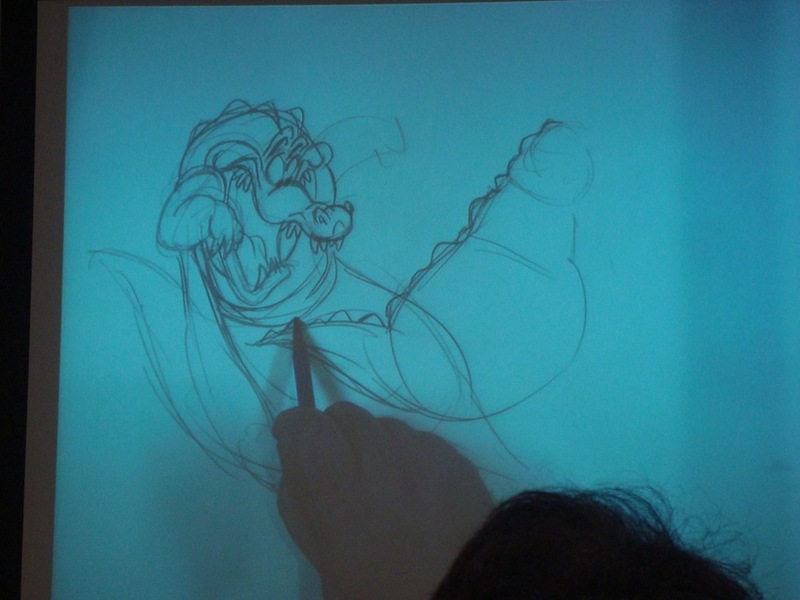 and draw a little doodle of the husband from his "Rhapsody in Blue" segment from Fantasia 2000. Enjoy!